"...To provide quality, experiential therapeutic foster care and mental health services with an array of collaborative programs designed to meet the needs of children, families, and the communities in which they live. We advocate for family-based settings with community-based wraparound services as the most conducive mechanism for healing and restoration..."
Turning Point Family Care is a professional foster care agency that provides theraputic foster care and other mental health services for at-risk children and their families. Our goal is to provide nurturing homes for difficult-to-place children in need of temporary substitute care. In order to accomplish this, we make use of profesionally trained foster parents who provide a theraputic environment within their own home. 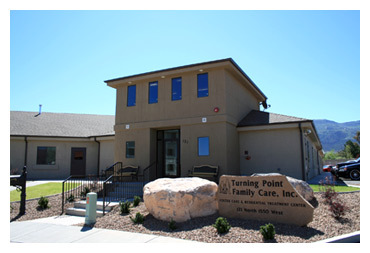 Turning Point Family Care provides services for abused, neglected, and dependant youth; with drug and alcohol dependencies, behavioral problems, emotional disturbances, mental delays, physical challenges, and children with special needs. Additionally, we offer offer an array of wraparound theraputic services and specialized programs oriented towards the goal of family unity and stability. Turning Point Family Care strongly advocates a variety of in-home interventions as the initial step in a family crisis. If the in-home intervention is proven unsuccessful or are not possible, then alternative living situations that utilize professionally trained treatment foster parents are in order. Once the child has been stabilized, we then focus on transitioning the child back to their home or to the least restrictive out-of-home placement. Additionally, we advocate the use of community resources, such as athletics and performing arts, which help support foster parents in the care of the child. Our goal is to utilize every community service to get the child "plugged in" to his or her community. We hold the belief that out-of-home theraputic placement should be a SHORT-TERM OPTION only. Our ultimate goals are the child's reunification with their family, kinship care, adoption, or transition to a lower level of care as quickly as possible.